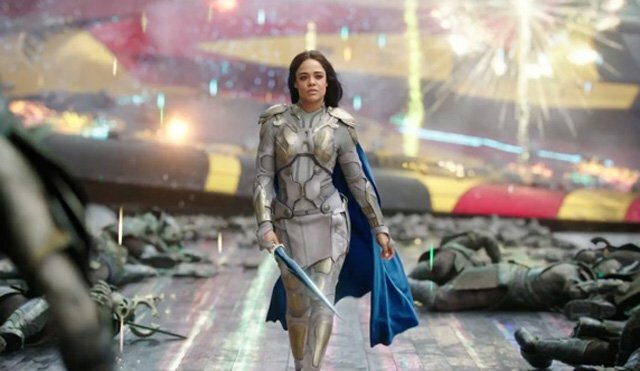 Thor: Ragnarok showed its official trailer at the Marvel Studios panel at the San Diego Comic-Con yesterday and afterward, we got a chance to speak to Tessa Thompson, who plays Valkyrie, Karl Urban, who plays Skurge, and director Taika Waititi. They told us about their characters, the humor in the film and more. Check out what they had to say below and scroll down to watch the brand-new trailer. Kevin Feige produces the film and is joined by executive producers Louis D’Esposito, Brad Winderbaum, Victoria Alonso, Thomas M. Hammel and Stan Lee. The screenplay hails from Stephany Folsom, Craig Kyle, Eric Pearson and Christopher Yost.